Spring is here. As winter slowly leaves so should your winter clothes. As you wear something for the last time this season, a warm sweater, scarf, pants etc. do you get compliments when you wear it. What Should I do with Clothing I no Longer Need? Clothes that are old and out of style are hard to donate so when you no longer want to have it in your closet make a plan so they can be loved by someone else. 1. If you have children sort their clothes at the start of each season and put the clothes that no longer fit in a box or bag. You may find it easier to put clothes that now longer fit into the donation box or bag right after they come out of the dryer. Make a connection with a family that has children a year or two younger than your children and give them the box of clothes at the beginning of each season. This helps both families to know what clothes they have and what they need to buy and you don’t need to figure out where to donate them because they go to the same family every season. them to see if they want high end clothing, teenage clothes, etc. 3. If you have unusual pieces of clothing like a nurses cape, old fashioned outfits or accessories take them to your local little theatre group. They may be able to use them in their productions. It would help the theatre company to say money on their costumes. 4. Sometimes communities have special clothing drives. You may find that formal wear can be donated to groups collecting clothing for proms. In the late fall there maybe winter coat and boot drive for homeless street people. Running shoes can be donated at some running stores and they donate them to organizations that send the shoes overseas. 5. 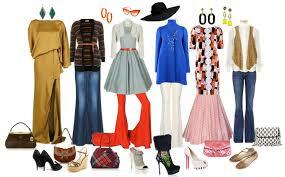 Clothing can be donated to women’s and men’s shelters as well as thrift stores in your community. 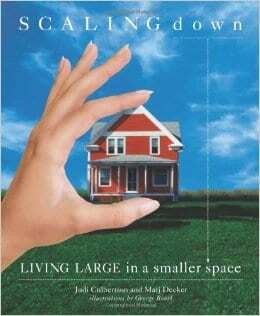 This book written by Judi Culbertson and Marj Decker is a complete guide to help you declutter and move. 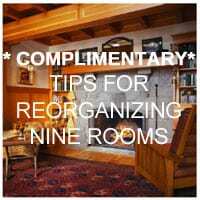 It has practical solutions for downsizing your clothing, collections and dealing with sentimental items. It also addresses how to move a family member to a supervised living facility. The authors remind you that if your parent can make decisions that your purpose is to help them move happily from a large space to a smaller space not make decisions for them. It suggests that you write a book about your life, put it down in black and white. A number of different ways of recording events about your life are provided. It is a great resource to have. Who knows when you will need it.